The past week has been nothing but dramatic for Gab Valenciano and his wife Tricia Centenera. Amidst divorce and emotional abuse claims by Tricia, Gab’s alleged unfaithfulness to her in their marriage was made even more scandalous with the mention of four women linked to the performer. An anonymous source named four women who were said to be third parties in Gab and Tricia’s relationship—cosplayer Alodia Gosengfiao, Issa Pressman (Yassi Pressman’s sister), model Dani Camcam, and Lauren Reid. 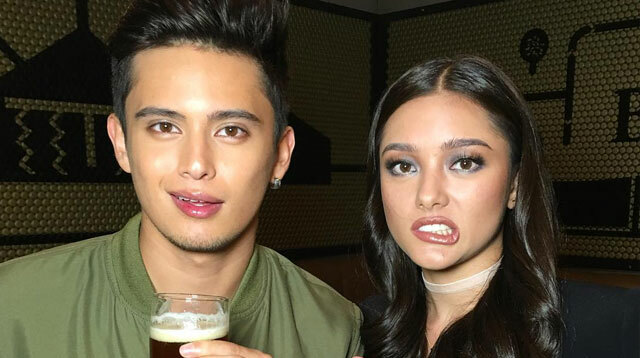 James Reid, Lauren’s brother, has spoken in defense of his sister being linked to the issue. In an exclusive report by PEP.ph, James denies Lauren’s involvement with Gab saying, "All I have to say is it’s not true…She’s the one who told me [about it]. She said, 'You know this is out, blah, blah, but it’s not true.'" The Till I Met You star also stresses that Lauren isn’t affected by the issue: "No. Nakalimutan na niya." He closes the topic by stating that Lauren and Gab were never friends, "They’ve met. And that’s it."